Credit Card Churning: One for the History Books? If you have a friend who is constantly getting free flights, hotel rooms and travel upgrades, congratulations: You probably know a credit card churner. These savvy plastic users are skilled at maximizing miles and points to travel the world at almost no cost. However, it appears that credit card issuers are starting to clamp down on churners, which has led many to wonder if the hobby is going the way of the dinosaur. For more information on the basics of churning and how credit card companies are beginning to stamp out the practice, take a look at the details below. If you’ve never heard of credit card churning before, it’s important to understand some of the basics before delving into recent changes to bonus programs – and why they matter to hard-core churners. Credit card churning works like this: You find a credit card rewards program that you’re interested in (like free hotel nights, airline miles, etc.) and apply for several cards that offer the reward. You’re especially looking for cards that offer huge sign-up bonuses. Once you receive the cards, you meet the spending requirement to get the sign-up bonuses and find ways to squeeze extra points or miles out of every dollar you put on the card. All the while, you’re paying your credit card bills in full. Skilled churners are able to pool the miles or points earned between all their cards to get free flights, hotels, upgrades and other travel perks. 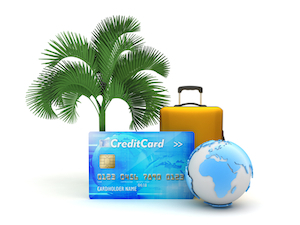 This can amount to several low-cost or totally free trips taken per year, all on the credit card issuer’s dime. Credit card issuers don’t like churners for a variety of reasons. For one thing, they have to pay out hundreds (sometimes thousands) of dollars per year in rewards to the people who know how to maximize bonuses. This outweighs the revenue they’re able to take in from churners, because these wise guys don’t carry a balance or pay late. Churners are also notorious for another move issuers hate: closing their cards after they’ve gotten a huge signup bonus, but before they have to pay an annual fee (many cards waive their annual fees for the first year). All this means that credit card issuers have a lot to lose when they do business with churners. At least one issuer has had enough of churners and will put a limit on the signup bonuses that churners can rack up. In March 2014, the Nerds heard that American Express changed the terms of several of its cards to snuff out a churner’s trick, so we got in touch with a customer service representative who confirmed the news: Beginning on May 1, 2014, customers who open a card won’t be able to get a signup bonus if they’ve had the card at any time in the past. The AmEx representative said that a few cards (including most of the Platinum cards) will be exempted from the policy change, but that in most cases customers will be shut out from a signup bonus on cards they’ve already owned. This is significantly stricter than AmEx’s current rules, wherein customers are ineligible for a signup bonus only if they’ve had the same card open in the past year. Credit card churners are obviously disappointed in this news, since opening and closing the same card several times is a common tactic to get a big bonus many times over. Some have also started wondering if other issuers will begin to impose similar restrictions on signup bonuses, or start reducing them altogether. Should you churn while you still can? If it’s true that the recent changes to American Express’s signup bonus rules are a signal of industrywide crackdowns to come, many people wonder if they should get started with churning while they still can. After all, why not take advantage of killer signup bonuses before they’re gone for good? Organized – you’re able to keep track of lots of bills without ever paying late. Disciplined – you don’t ever carry a balance on your cards. Excellent credit – you won’t qualify for the best bonus cards unless you have outstanding credit. Plus, the small hits that your score will take when you open new cards won’t pinch as much if it’s already sky high. Big spender – getting the big bonuses means you’ll have to meet high spending requirements. Detail-oriented – successful churning requires knowledge of frequent traveler award charts, exclusions, blackout dates, etc. If you’re not willing to do serious research, you won’t make a good churner. Not applying for a loan anytime soon – applying for a bunch of new cards will raise eyebrows with lenders, so don’t start churning if you’re trying to purchase a home or a car in the near future. The takeaway: Credit card churning might soon become a thing of the past if other issuers follow American Express’s lead. But before you start churning yourself, think carefully – you’ll need just the right personality and lifestyle to do it successfully.